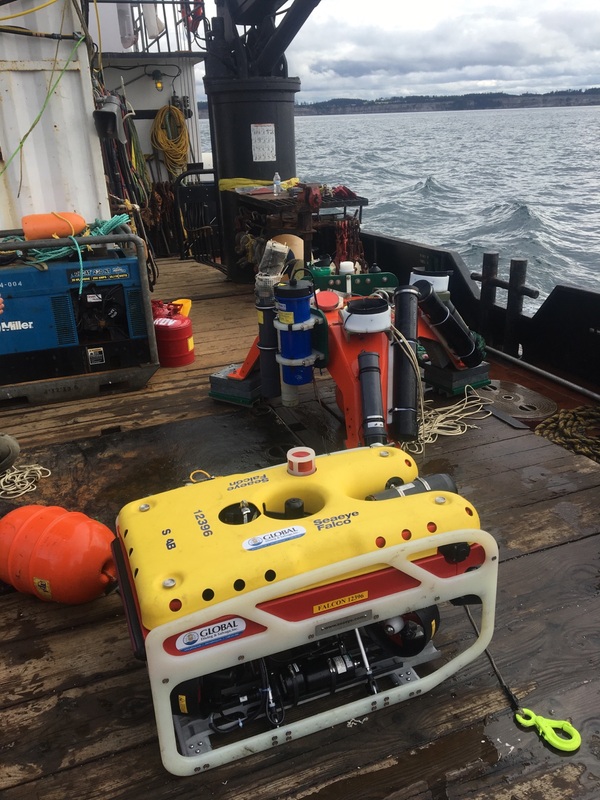 Global Uses ROV to Recover UW "Sea Spider" - Global Diving & Salvage, Inc. Global was contacted by representatives of the Applied Physics Lab at the University of Washington regarding recovery of an instrument platform known as a “Sea Spider”. The instrument platform is used to gather scientific data from its resting point on the ocean floor, measuring currents, vessel wake, noise and other data; it also monitors fish and marine mammal activity in the vicinity. The Sea Spider was lost near Admiralty Head in northern Puget Sound, an area known for unpredictable tidal effects and high currents. When the research team was trying to retrieve the instrument platform at the end of its standard deployment period, they triggered the acoustic release connected to the Sea Spider’s retrieval buoy. For some reason the device’s retrieval system failed; the buoys never rose to the surface, and the team was unable to collect the instrument platform. The Sea Spider is built with a redundant retrieval system, but both failed to reach the surface. Together with the research team from UW, Global’s crew developed a plan to locate and recover the Sea Spider using Global’s Seaeye Falcon ROV, deployed from our 60-foot landing craft, the M/V Prudhoe Bay. In order to provide the most favorable tidal conditions, operations were scheduled to be performed at night and on a neap tide cycle. Using an acoustic range finder and the ROV’s sonar, the platform was located in approximately 200 feet of water (see video clip of the sonar scanning below). The Sea Spider’s acoustic release system had only partially deployed; the buoy lines had wrapped around each other and were suspended in the water column. Not only did this prevent the Sea Spider from being recovered using the research team’s standard methods; it also created a severe entanglement hazard for the ROV trying to retrieve the device from the sea floor. Surface currents were moving in a different direction than the currents in deeper water, creating an additional challenge for the ROV. Field personnel assessed the situation and modified the dive plan accordingly. Flying the ROV in the water column above the Sea Spider, the pilot was able to grab the Sea Spider’s buoy retrieval lines in mid-water and bring them to the surface. Global’s team successfully recovered the Sea Spider from the bottom without damaging the instrument platform, and returned it to the researchers from UW.